Get a free home Market Snapshot for your home! How do actual selling prices compare to listing prices in my area? How are homes within a 5 mile radius of my home selling? Are there any unsold homes in my area? 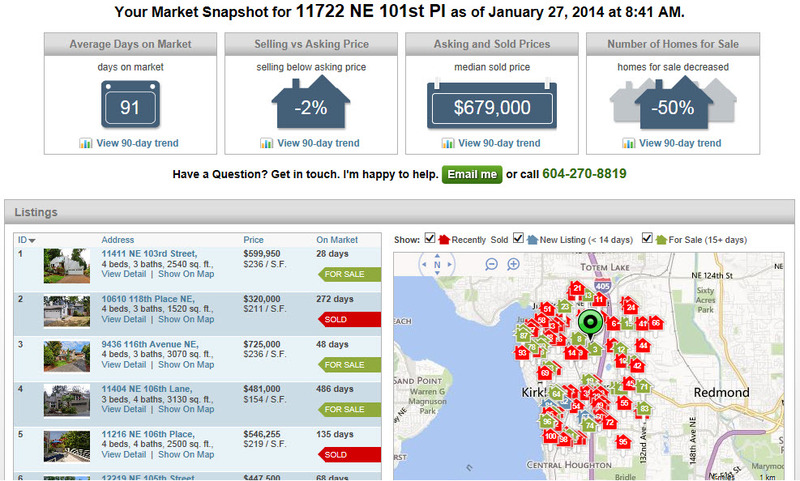 What prices are homes selling for that are similar to mine in my neighborhood? You can get regular updates sent directly to your email at every 2, 4, 6 or 12 week intervals.